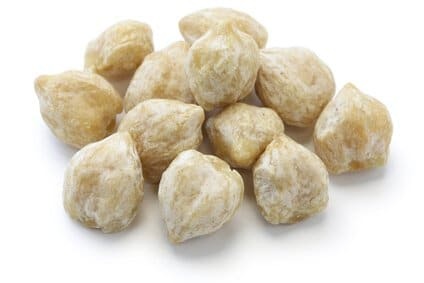 Kukui nut oil is a semi-clear to light yellow oil that is cold pressed from seeds of the Aleurites moluccans tree, often referred to as the candlenut tree. The State Tree of Hawaii, it also grows in other areas of Polynesia. Kukui seeds have traditionally been used for a variety of purposes. Seeds themselves were often strung and lit on fire to use as torches, and oil pressed from the seeds was used in lamps. The oil has been mixed with soot to produce a type of paint, and another process turned it into an ingredient that aided the drying ability of paints and varnishes. Uncooked seeds are somewhat toxic, but Hawaiians have roasted the kernels and mixed them with seaweed to make a peanut-like condiment. Kukui nut oil is a natural moisturizer that has been used for centuries in Hawaii. It is produced by pressing oil from the kukui nut (or candlenut) tree, and it contains essential fatty acids, vitamins and antioxidants that help to soothe dry skin and heal wounds. While Polynesians historically used kukui nut oil to “protect the skin of babies,” this emollient is popping up today in shampoos, body scrubs and lip balms. Below are seven beauty uses for this ancient Hawaiian secret.